Four of our solicitors have faced a few hairy moments all in the name of charity. They pledged their support for this year's Movember campaign and spent the last month growing some pretty impressive facial hair. The aim of the campaign is to raise vital funds and awareness for men's health, in particular prostate cancer and testicular cancer, and the Martin-Kaye MoBros have raised over £700 through their efforts so far. Mohammed Ahsan, who took part in the challenge, said: "There was much trimming, grooming and moustache stroking throughout the month, and we've had some gentle ribbing from our colleagues over the weeks. But in the end, it has all been extremely worthwhile and we're so grateful to everyone who has supported our efforts - we never thought we'd have raised such a great amount of money, and the donations are still coming in." 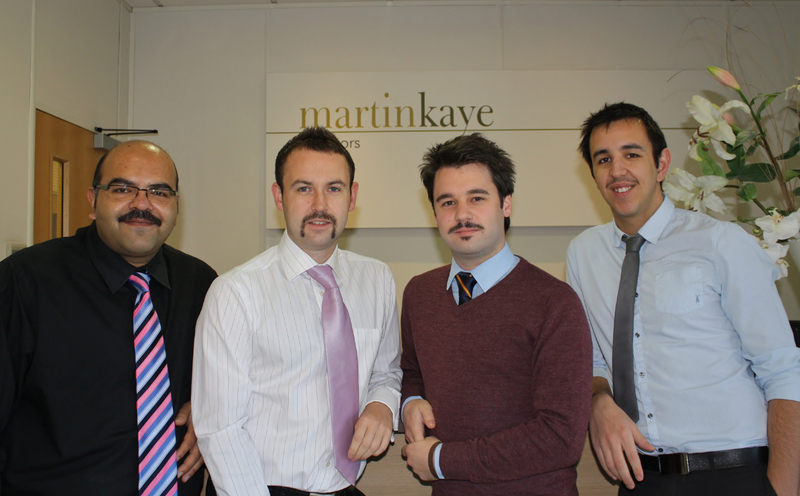 Mohammed was joined in the Movember campaign by colleagues David Jones, Jason Round and Giorgio Iaconi. Movember raised over £79 million last year across the UK and around the world, and organisers are hoping to beat that with this year's efforts.